A Eurasian species, locally established as an escape from cultivation into disturbed places, including newly made roadsides. 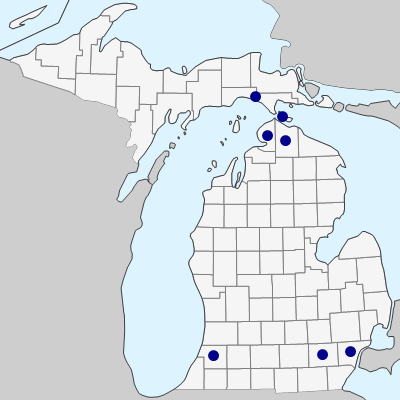 Known from Michigan since the First Survey and collected as early as the early 1860’s (or possibly even 1837) at Mackinac Island, Mackinac Co. (where well established), and also in Detroit, Wayne Co., and Ann Arbor, Washtenaw Co. 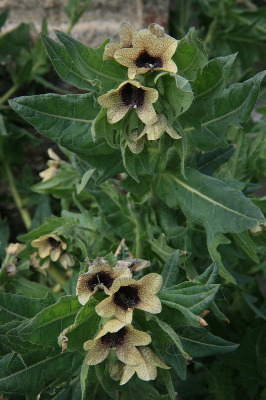 This is a fetid, sticky-pubescent plant all parts of which are poisonous to ingest; for many centuries used medicinally (or worse), the source of the potent drug alkaloid hyoscyamine. The stem conspicuously elongates in fruit, so that it appears to terminate in a large spike or raceme. MICHIGAN FLORA ONLINE. A. A. Reznicek, E. G. Voss, & B. S. Walters. February 2011. University of Michigan. Web. April 21, 2019. https://michiganflora.net/species.aspx?id=2696.